Did you know that a well thought out garage conversion can add as much as 10 per cent to the value of your home? 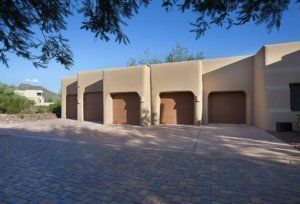 An added benefit of converting a garage in Phoenix is increased living space without incurring the costs and inconveniences of moving. Renovating a garage into a new bedroom or recreation room makes sense since you already have a foundation and walls. It’s more affordable than adding on, however, certain considerations must be made. It’s no secret that the internal space of most garages is much longer and thinner than most people prefer their typical rooms. So, to achieve a more natural shape for the conversion, think about using stud or block walling to convert the garage into two rooms. The additional room can be used as a toilet or shower. And some homeowners prefer a storeroom. Bottom line: consider the use you plan to put the rooms to and either develop some sketches yourself or enlist a pro to get some made. The change of use from a garage to a habitable room will mean compliance with local building regulations, including delivery of a building notice to your council. Building regulations apply to ventilation, moisture proofing, insulation, fireproofing, escape routes and structural soundness, according to Home Building and Renovating. As a result, pretty much any design decision must take them into account. Think of it this way: when dividing up the garage a new room is created. This room is subject to a set of building regulations that require an escape route and ventilation separate from the main room. Changes, such as an infill wall replacing the original garage door, are also subject to building regulations with regards to the foundations. Bottom line: a building inspector will want to visually inspect all windows, doors, fireproofing and foundations before he or she presents a certificate of completion. Be sure to conduct a thorough survey of the plumbing and wiring in the house and garage. Any wall you want to give way for doorways or windows needs special attention. Locate the main outflows for water, and, if you plan to install a toilet, the soil outflow. Check the garage for wiring in the walls and ceiling. Keep in mind: rewiring the garage for lights and heating systems will place additional strain on the household mains. The existing garage floor should be sufficiently strong, but will likely require additional damp proofing and insulation to meet building regulations. A concrete floor can be created and a damp proof membrane added between the two layers. Insulation can also be added under the new floor, but sometimes requires a separation layer to prevent a chemical reaction with the damp proofing. External walls are covered by building regulations and must meet requirements in terms of moisture proofing and insulation. If the garage is integral to the house the exterior walls will usually meet building regulations. Otherwise, consider a second block wall ­– or a stud wall – inside the existing exterior wall. Insulation and power and water lines can be placed behind this wall. Remember, this will decrease the interior dimensions of the space. Also, if the garage will have a lot of people in and out of it on a regular basis, especially if it is external to the house, consider additional insulation. This will decrease cost long term. Replacing the garage door with an infill wall can require investigating the foundations to confirm their depth. Shallow fill foundations may require improvement to support the additional weight. Consider replacing the door with a large window and paneling. It’s important to realize that a second room will require proper ventilation in order to meet building regulations, and an escape route to meet fire regulations. When installing doors or windows in the walls of the garage, reinforcement may be necessary to the original garage wall. At Republic West Remodeling, we’re proud of the more than 17,000 Phoenix home remodeling projects we’ve completed since 1995 – bathrooms and kitchens, whole homes, room additions and converting a garage in Phoenix – all projects that added sophistication, style, value and function to our clients’ homes.